The Voice and Lady-Killer Cee Lo Green will be coming to Orlando in September to play the Hard Rock Live on Wednesday, September 7, 2011 at 8 pm as part of the Samsung AT&T Summer Krush summer concert series. 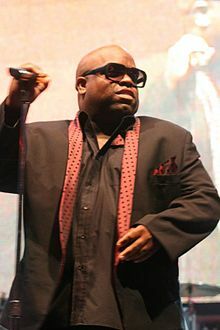 Cee Lo Green has had two very large hits under his Gnarles Barkley alias with Crazy (with DJ/Producer Danger Mouse) as well as his most recent hit Forget You. Cee Lo Green is originally from Atlanta, Georgia where he began his career with the rap group Goodie Mob.